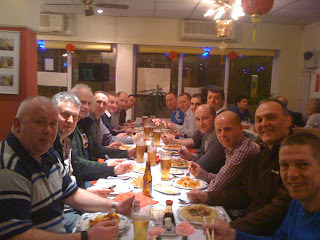 The 'Dads February 2010 meeting was held at a Chinese restaurant in Chapel. What a happy looking bunch! Bradda Dad and Wolf's Pit Fell Race race organiser John Boyle takes 6th place.